Comment: We have a drain connected to our gutter downspout that runs under the lawn. It is plugged and we would like to see about getting it cleaned out. 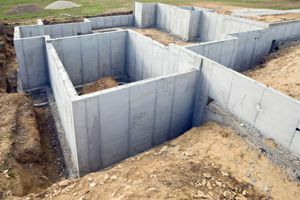 Comment: I need a level foundation for a 8x10 tuff shed. I had a tree taken out a couple of years ago so not sure what the root situation is going to be. Comment: Back porch is cracked on two sides and both are sinking. The previous owner added the two sides to an existing middle portion with a roof covering all three. Believe the addition of th roof is causing the two new portion to sink. Comment: Wet water spots in garage, may have wet spots in bedroom. .? Comment: Leak detection company has examined the site and identified the leak. In the front of the house (stucco) coming in in cracks in the wall, around a window and through the foundation. Not a lot of water but enough to ruin the carpeting inside. Palm Harbor Foundation Contractors are rated 4.78 out of 5 based on 45 reviews of 6 pros. Not Looking for Foundations Contractors in Palm Harbor, FL?